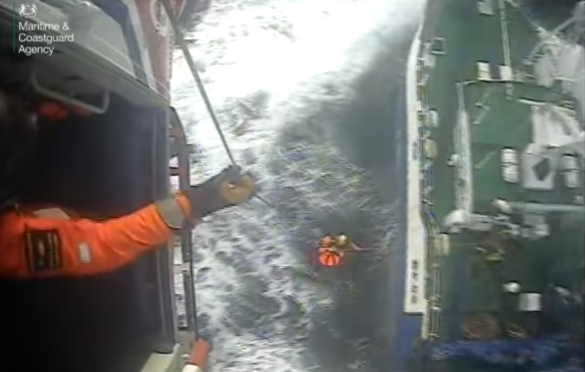 Incredible footage has been captured showing a Coastguard winchman boarding a fishing boat in rough seas to rescue an unwell crewman. HM Coastguard received the call for help just after 7.30am on Monday morning reporting an unwell crewman onboard the vessel, 50nm south east of Sumburgh. The Sumburgh-based search and rescue helicopter attended the scene and it took several minutes for the winchman to land as the vessel rocked from side to side. The crewman was taken to Lerwick for onward transfer to hospital by the ambulance service.